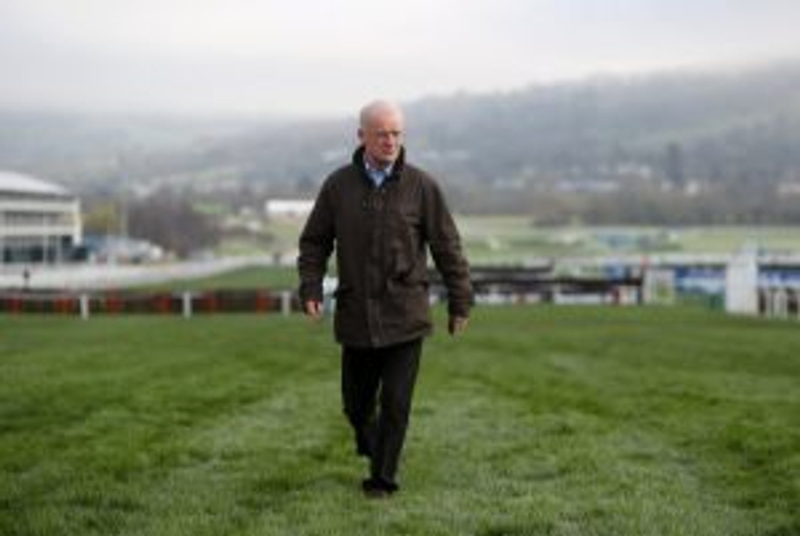 Ireland's Champion Trainer Willie Mullins looks set to have as many as three possibilities ahead of the Grade 2 Moscow Flyer Novice Hurdle, at Punchestown on Sunday. Mullins has dominated this contest in recent years - winning seven of the last ten renewals, including victory twelve months ago with Getabird. He has also hosed up with the likes of Vautour, Douvan and Min, all winning prior to their engagements at the Cheltenham Festival. This year, Mullins is represented with Buildmeupbuttercup; in the colours of Mrs J Turner, along with Prince D'Aubrelle (Allan McLuckie) and Harrie (Supreme Horse Racing Club). Buildmeupbuttercup was a smart winner on the flat in her days with Mick Channon, and made a winning hurdling debut for Mullins in a maiden hurdle at Navan last month. She is also the only mare in the field and receives 7lb as a result. Prince D'Aubrelle is now a 9yo believe it or not, having been sidelined for over three years with injury. He won three bumpers back in 2015, before winning on his return and first start over hurdles at Tipperary last May. Finally, Harrie was beaten at short odds on his Irish debut in a Down Royal bumper last year, but made a successful reappearance in a Tramore maiden hurdle last month, and looks the smartest prospect going forward out of the three. Any of the Mullins trio though could make a name for themselves with a victory here, and be one of his leading candidates for the Novice events at the Festival. Trying to stop him in his tracks, is as per usual Gordon Elliott - who has never previously won the Moscow Flyer Novice Hurdle, but appears determined to end that unwanted record. He has as many as eight runners going to post on Sunday afternoon - all in the colours of Gigginstown House Stud. Jessica Harrington - who trained the great Moscow Flyer saddles Press Conference - who defeated the Mullins-trained and well-fancied Annamix at Limerick over Christmas. Jetez - also of Harrington's yard, along with Henry De Bronhead's Jan Maat complete the fourteen runner field.